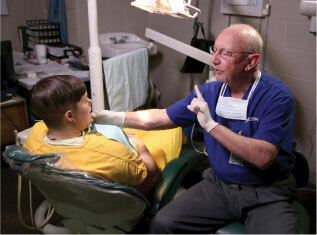 Corizon Health provides opportunities for dentists at any point in their careers. The unique working environment of correctional facilities offers dentists the opportunity to maintain a steady practice with little or no economic burden. As a Corizon dentist, you enjoy a steady patient base and stable work without worrying about the traditional administrative accountability like processing insurance claims. Corizon dentists are an essential component of our overall healthcare services. We have jobs available for licensed dental practitioners including the roles of Dental Director, Oral Surgeon, Dental Assistant and Hygienist. Corizon Dentists provide health services to the inmate population and supervise Dental Assistants, while working effectively with inmate patients, other members of the healthcare staff, and facility employees. Practice dentistry where your service is routinely met with appreciation. Enhance your career by joining the dentistry team at Corizon Health.